Cengiz Under scores his first goal of the season for Roma ? 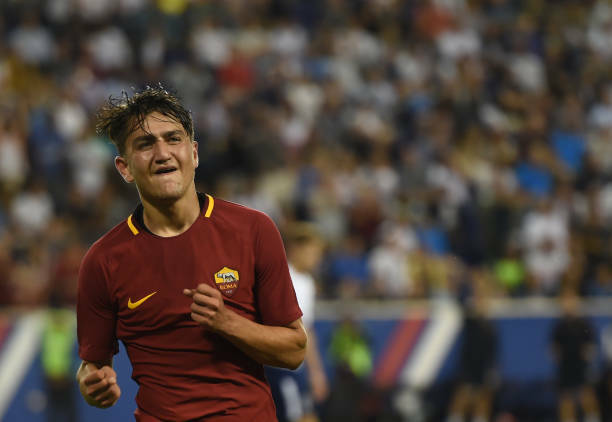 Cengiz Under – Roma: The Turkey international scored his first goal of the season in the 4-1 win over Frosinone and boy was it worth the wait. The winger dribbled his way down the pitch from the half-way line to just outside the penalty area before finding the back of the net with a long-range effort. Oh and he also got an assist in what was a man of the match display for the Giallorossi. Ilkay Gundogan – Manchester City: Gundogan scored a stunning long-range effort and provided an assist in the 5-0 victory over Cardiff City. That is how you silence the critics. Cenk Tosun – Everton: Tosun was dropped against Arsenal but did come off the bench later on. The star striker was unable to score or provide an assist. Tosun has yet to score this season which is starting to cause concern. Despite failing to get off the mark the 27-year-old has been working hard and putting in a shift. I am sure he will get back in form as long as he does not lose his confidence. Okay Yokuslu – Celta Vigo: Yokuslu is starting to establish himself as a starter for the La Liga outfit and rightly so. The Turkey international is hugely underrated in my opinion and will go onto make a name for himself in Spain by the end of the season. Enes Unal – Valladolid: Enes ended up scoring his first goal of the season in the 3-3 draw against Celta Vigo over the weekend. Hopefully, it’ll be the first of many.